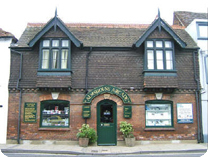 Marilyn's Cakes is a design studio and shop in Chichester, West Sussex, specialising in the creation of Bespoke Wedding Cakes as well as other Celebration, Christening and Novelty Cakes. We can provide you with everything from the initial inspiration right through to the finished product or if you're a bit of an expert yourself then we can offer to tackle those areas you may not be too keen on. Whether you want a classic cake adorned with delicate sprays of sugar flowers or perhaps something a little more out of the ordinary then why not let Marilyn help realise your vision. 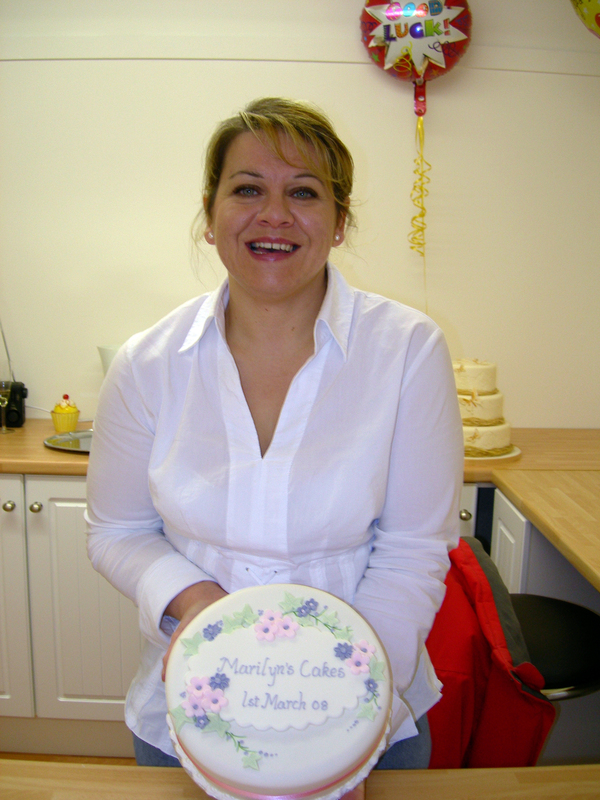 Marilyn has over 15 years of High Street experience as a professional cake decorator. 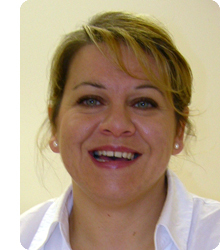 Besides having a wealth of practical knowledge Marilyn has gained many qualifications in the art of sugarcraft. So if you're looking for someone to create something special for an important occasion then look no further! In addition to providing bespoke cakes we have a retail area stocking an array of products for those who enjoy producing their own creations and if we don't have what you are looking for in stock then we will order it in for you. We can also make sugar flowers, sprays, plaques, models and figures to your own requirements as well as completing orders where you provide your own cake. As well as offering an excellent product we also aim to provide the friendliest service so we will always be pleased to see you, whatever it is you are looking for, but don't just take our word for it, see what our customers have to say for themselves in testimonials. All of our cakes are made using only the finest ingredients. We can provide all the traditional varieties of cake and if you're having multiple tiers then why not mix-and-match. Or whatever cake filling you like, just ask us! As you can see we hold the highest food hygiene rating possible both in the shop and at Marilyn's private residence with the Food Standards Agency Inspectors placing high confidence in our management.